I can bake! What a monumental event that was! I tried this recipe a couple of nights ago and came up with a wonderful batch of banana bread (which is one of my favorites, by the way). This recipe is real easy to do because there's no kneading and waiting for the dough to rise. I will surely want to try that soon, but in the meantime this recipe has totally given me the momentum to try out more challenging recipes. And not only is this recipe easy to make, it's yummy too! 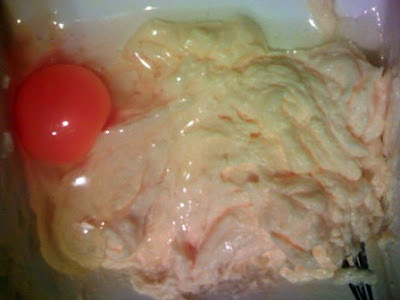 Add the eggs, beating and mixing well. 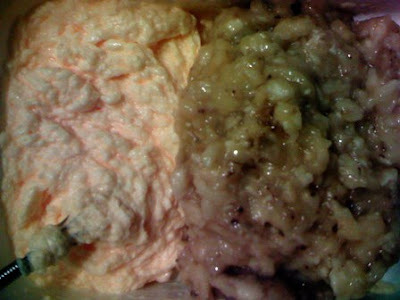 Mix in the mashed bananas. Set aside. Heat up the milk over a pan then stir in the baking soda. This will result in a frothy mix. 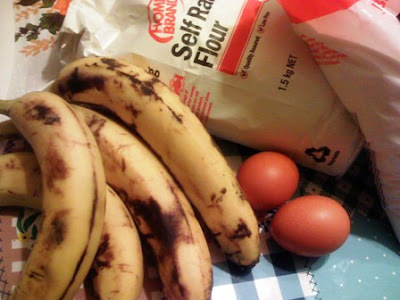 Put this into the banana mixture, then fold in the flour. You would usually place this on a baking tin, but my wife decided to use that so I was left with the muffin tin. 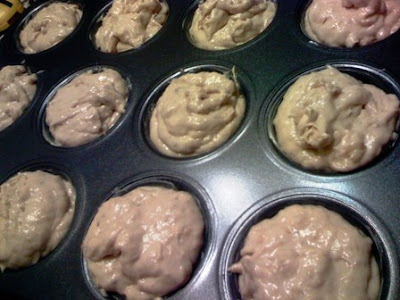 Whichever baking container you will use, grease it up so the bread won't stick. I used butter to do this. We have a rather large muffin tray, and I was able to divide the mixture into twelve muffins. Bake for 45 minutes at 180C (350F). Then you're done! 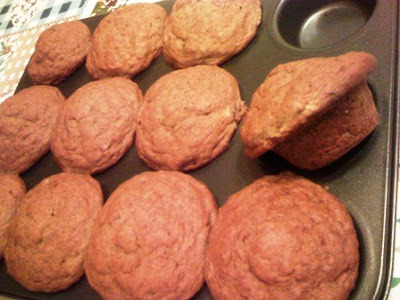 Twelve overgrown yet yummy banana bread muffin! Didn't I tell you it was easy?